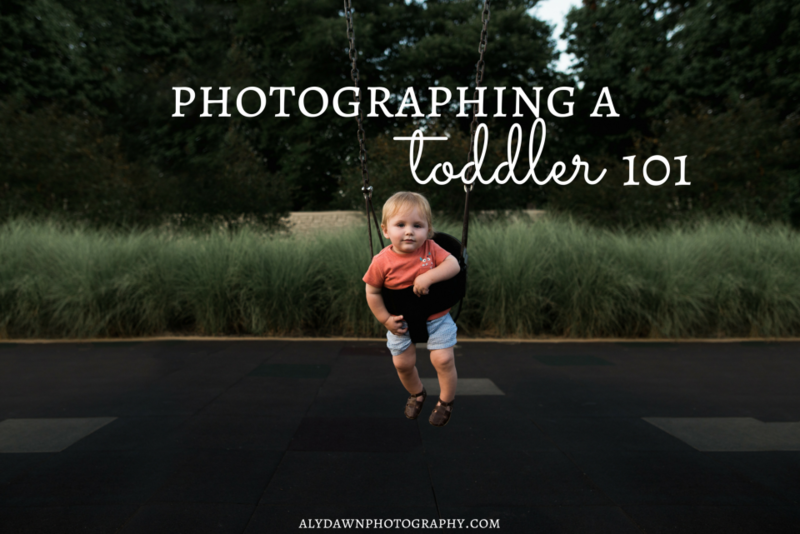 Whether you’re a new mom or an experienced mom, you probably know what I mean when I say: photographing toddlers is hard. Let’s get real for just a second, toddlers are constantly on the move! They never sit still! You can’t tell them to smile, either, they don’t understand it. 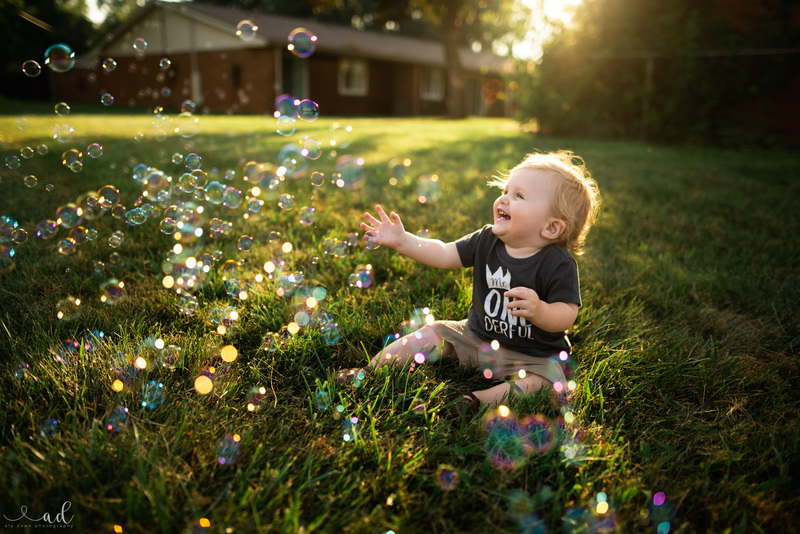 #beentheredonethat I’m hoping that I can give you some tips to practice with and get better at photographing your toddler. Some of these tips might come in handy for the older ones, but for the most part these tips are strictly for those of you with toddlers. Don’t forget about my new course coming up: LEARN MANUAL: how to take control of your camera (by clicking on this link and signing up, you’ll get updates on anything new to this course). Technically speaking, you don’t need any special gear to take better pictures of your kids. Your trusty smart phone will do just fine. But if you’re curious about the type of gear I use to photograph my toddler, than I will fill you in! My camera is the Nikon D610 – which is a full frame camera and I absolutely love it! My starting camera was the Nikon D5100 (linked is the Nikon D5300 which is really similar, just a newer version) and I would recommend that camera to anyone! I loved it so much. That is the perfect first camera. My go to lens is the Sigma 24mm 1.4 ART lens. This lens is super sharp and one of my favorites because it allows you to get in close and get details shots, as well as getting environmental shots without being a thousand miles away. Since it’s so wide, my shots might make it look like I am far away from my son, but in reality, I am right next to him, making sure he is safe. I love this lens! I also love just how different each of my shots are when I use it. This lens is also great for indoor, documentary photography (which is great when photographing toddlers!). I really could use just this lens and be 100% ok with my photography. I just recently got the Sigma 85mm 1.4 lens. This lens is great when you want a nice creamy background. I have yet to really give this lens a good review, but it’s growing on me! The downside to this lens and photographing children is that you have to be pretty far away from the child. When I use this lens, I always make sure I have a helper. One that can be fairly close to the child, but out of my frame, just in case. It’s very important to make sure the child is safe. Safety first, mamas! And that’s pretty much it for my gear list. I like to keep it somewhat simple. Again, I could literally just use my Nikon D610 paired with the Sigma 24 all day everyday and be 100% ok with that. Find a lens that works for you and rock it! And also, smart phones work just as well. Iphones have great cameras! If I had an iphone I’m sure I’d be using it wayyyyy more. Just practice, practice, practice! That goes for any camera! 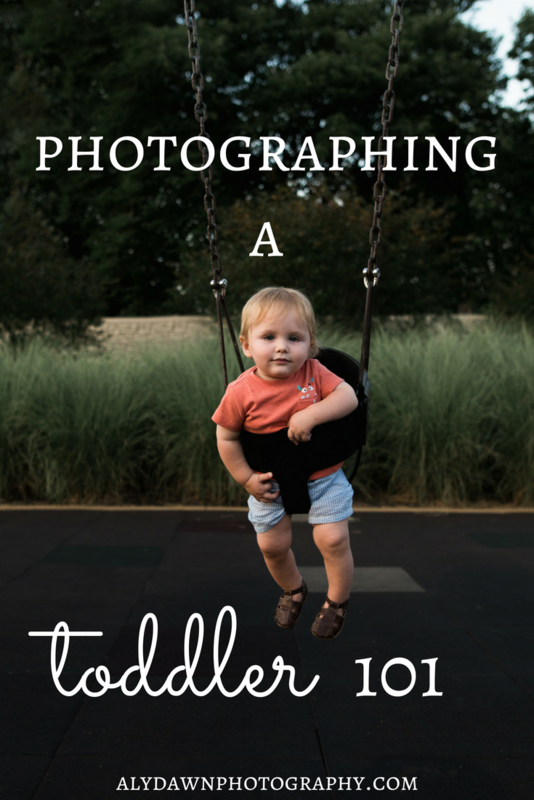 I feel like when you follow these tips, photographing toddlers is easy peasy. But, for me, it hasn’t always been easy! I’m a mom to a one year old (as of this post date!) so photographing toddlers is fairly new to me. 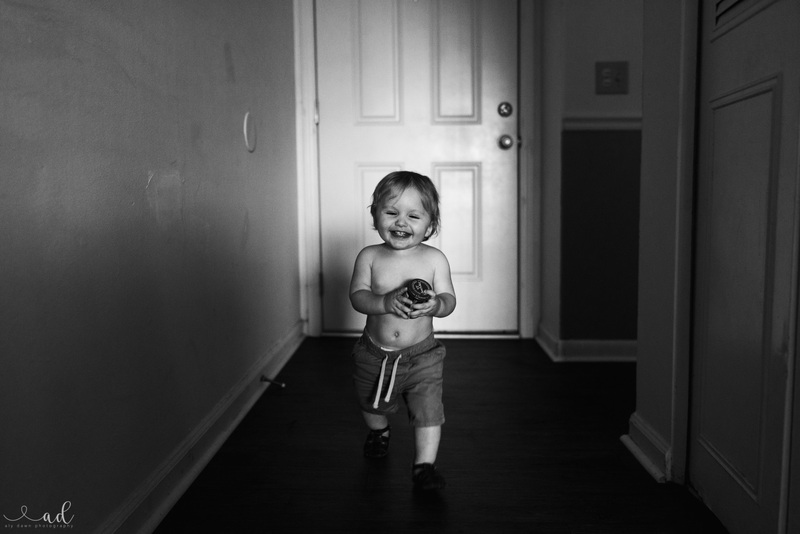 It took me a while to understand how to photograph a toddler. And I will be honest with you, it took a lot of patience and practice. And even now, I am no expert. But I now enjoy the images I get of my son. If you’re like me at all, you probably plan out your photos a little. You probably have some sort of ‘vision’ that you want to capture. 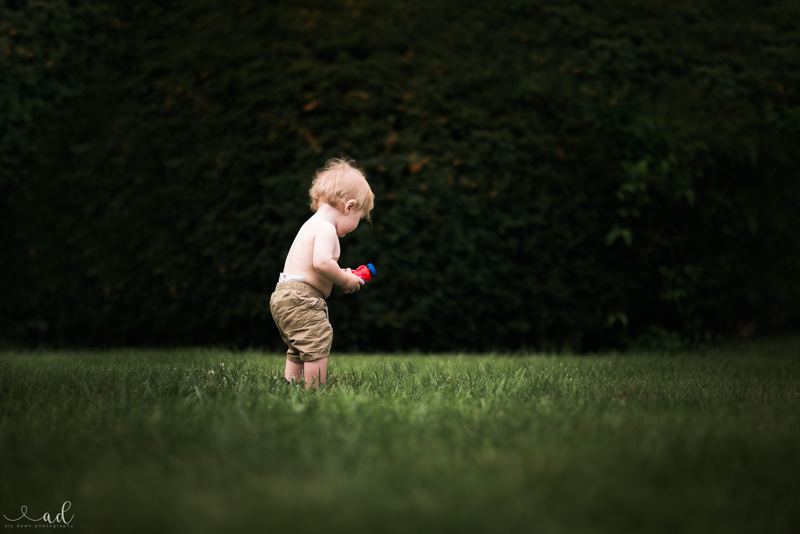 When photographing toddlers, it’s ok to have a vision, but remember, anything can change. You might have a vision of capturing a smiling toddler running towards you, when what you get is a cranky, crying mess who won’t move a muscle. Or who just wants you to hold them. Plans change. And that’s ok. The toddler is ‘in charge’ so to speak, when it comes to photography plans. Just remember to be patient! Toddlers love fun. It’s like it’s a part of them. And they’re so cute about it, too! So, remember to make taking pictures of them fun. Don’t always make them sit and be still to get a beautiful portrait of them. They love to move and run – so let them. Pull out some bubbles and photograph the magic that happens (trust me, it’s magic). Let them run around the yard and run around with them. You’ll have fun, and they’ll have fun. Win-win in my book! 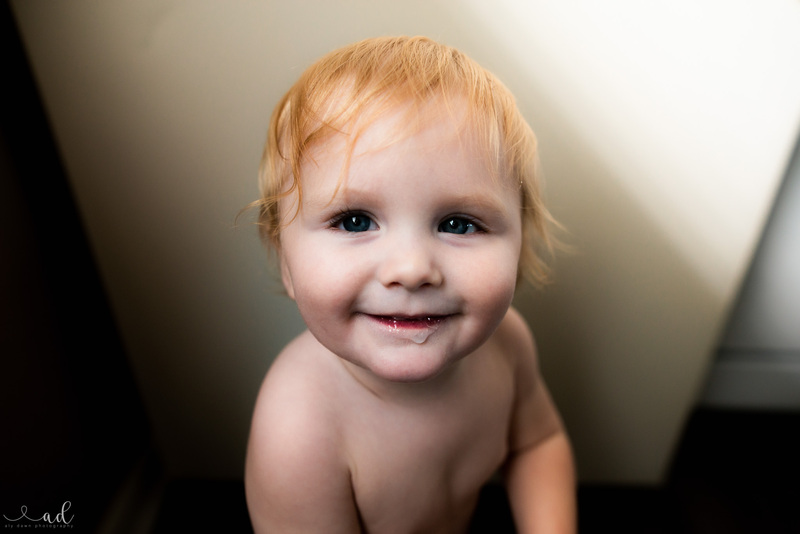 Also, making funny noises is probably my favorite trick for photographing toddlers. My son loves it when I make silly noises at him! He’ll make them right back and give me some really funny smiles! Yes, getting pictures where your subject is looking at the camera is fun and important, but try to take a picture with some part of the environment in it. Take a picture of something your toddler does everyday. Maybe nap time – try to take a picture of them sleeping! Do they always eat breakfast in their high chair? 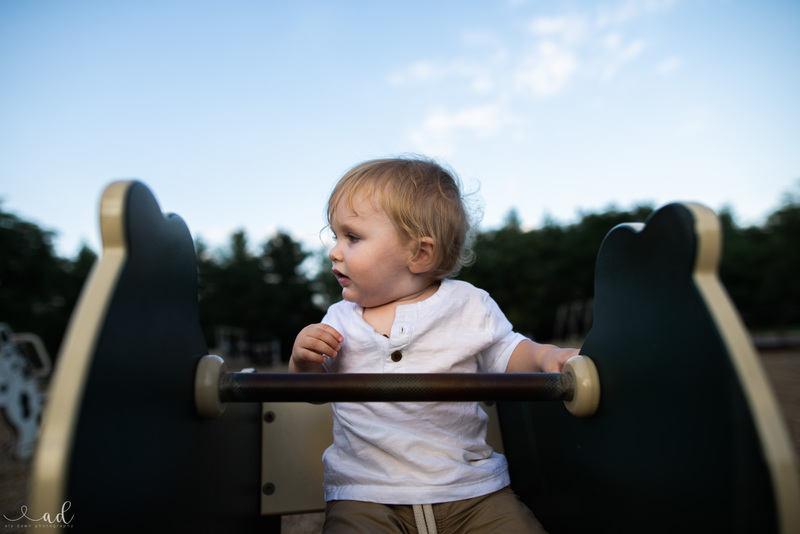 Photograph it (plus they are confined, high chairs are PERFECT for getting some of those portraits you really want…as are swings!). The everyday moments can really be quite beautiful, if you let them! You should look for beautiful light in all of your images, but remember one thing: life doesn’t always happen in beautiful light. There have been countless times where my son has done something extremely funny and cute when it’s dark and there’s not good light. I take the picture anyways. Because down the road, the moment will mean more to me than the light. That being said, you should look for the light whenever you can! Photography is all about the light. Remember that! When there’s good light, there’s usually a good photograph waiting to be made. Try to persuade your child to play in the pretty light. And then wait for that special moment to happen. 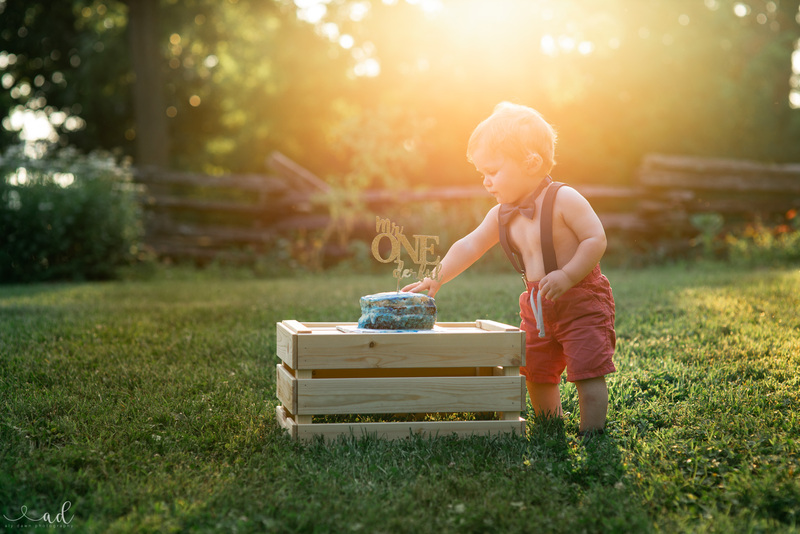 When you are photographing your toddler and you might need to be far away (for example, in the image above I was pretty far away because I had my Sigma 85 lens on) be sure you have a helper who will stay near the baby, just in case something were to go amiss. In almost all of my outdoor images, I always have my trusty helper, my husband! He’s always there to keep my son in a safe place (my son loves to wander off). Plus having a helper will help you not lose your cool when the little one doesn’t behave. Because they very rarely actually behave!! Get your shots in, have your fun, then put the camera away and enjoy the fun with your family! Your toddler doesn’t always want to remember a camera in their face. And your husband probably doesn’t want to be the only one providing entertainment to your toddler! So, remember to put that camera down and enjoy family time! You won’t regret it. It will be worth it (just make sure you get the shots you want before you put the camera down! ).